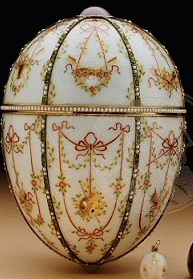 From the minute I saw the Rothschild Fabergé Egg for the first time on October 4, 2007, on the Christie's website, it reminded me of the Kelch Chanticleer Egg. Just for fun I put them together on this page. 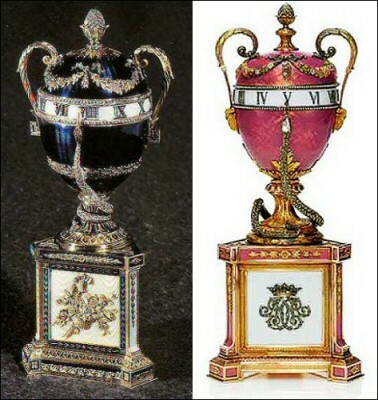 The two could be brother and sister! 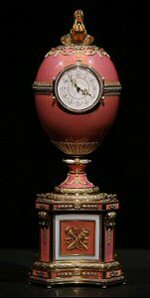 A very interesting article about the Rothschild Egg is written by Kieran McCarthy of Wartski in London and can be found on the Fabergé Research Site, Recent Discoveries. 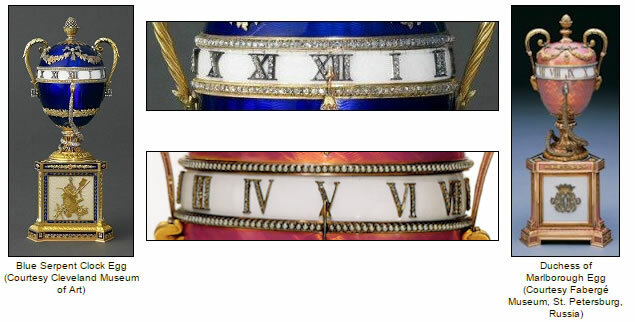 For the Fabergé Research Newsletter, egg section, the above image was made which compares the two clock Eggs and the two dials. 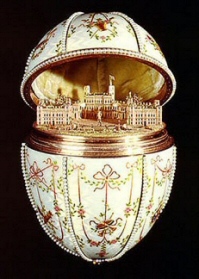 Thank you Christel! 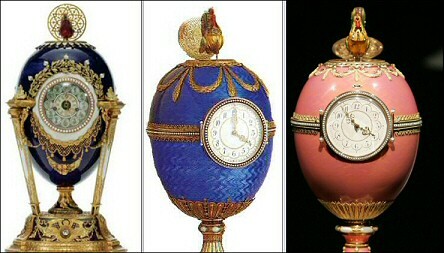 As these Eggs are all clocks, you might want to see the other clock Eggs too, click here to do so!